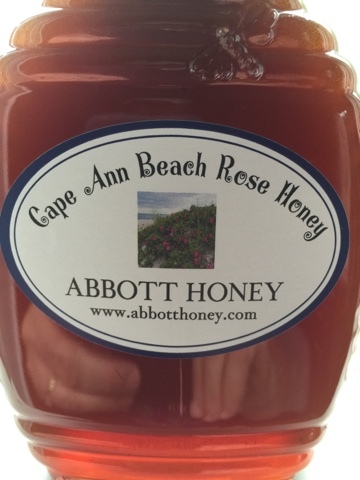 Abbott Honey: Announcing: 2015 Summer Cape Ann Beach Rose Honey is now Available! Announcing: 2015 Summer Cape Ann Beach Rose Honey is now Available! Cape Ann Beach Rose Honey available. It will be at the Rockport, Ma. Farmers Market on Saturdays all summer 2015! The absolutely sublime taste of this honey is like nothing else. Use in ice tea, drizzle on fruit desserts, serve with cheeses, or just eat by the spoon!